A Letter to Momo is a quirky but downbeat little gem from Japanese anime studio Production IG. The movie is a realistic study of grief in a surrealistic yet beautiful setting. momo_1The story itself is lyrical, albeit perhaps overly long. Momo and her mother move from Tokyo to the fictional Shio Island on Japan’s Inland Sea following her father’s death. Having argued with him just before his demise, Momo is haunted by guilt and grief, and a letter her father began writing to her but did not complete. 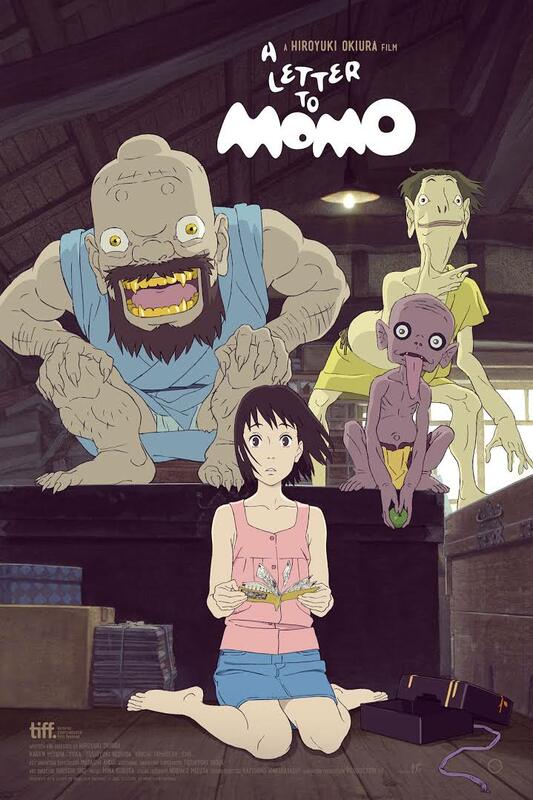 A Letter to Momo is written and directed by veteran Japanese animator Hiroyuki Okiura, who has been involved with some of the great Japanese anime of the past, including the Ghost in the Shell series and Akira. This is the first movie he has written and the second he has directed, but what remains certain is that he has a flair and style all of his own. Featuring a captivating anime style and colour palette, there is always more than enough on screen to hold the viewer’s attention. Japan’s natural pastoral beauty shines through and the soundtrack is also enchanting. Sadly, the English dub – always hit and miss in Japanese anime – is somewhat flat. Most of the rare laughs in the movie come from the interactions between Momo and the three spirits or goblins, who are constantly forgetting their mission and always looking for their next meal. It’s a long and meandering path to the movie’s happily-ever-after, but it’s worth the wait. At its heart, A Letter to Momo is the story of a family reconnecting with one another in the wake of tragedy, with a message that grief is an easier burden to bear when shared.